A civil trial lawyer with extensive first-chair jury trial experience, Joe has decades of experience resolving disputes in the real estate and construction industries. His depth of knowledge in real estate, development and construction matters helps Joe sort through myriad issues in disputes over large projects to find the best strategies for clients. He works with real estate owners, contractors and subcontractors, as well as architects and engineers. Joe’s experience helps him to efficiently analyze each case so he can advise clients on issues involving schedules, scope of work and quality in building design and construction. His understanding of technical issues, insurance, expert witnesses and interrogation techniques makes him an asset to clients. If disputes do arise, Joe is adept at working both in the courtroom and in arbitration. 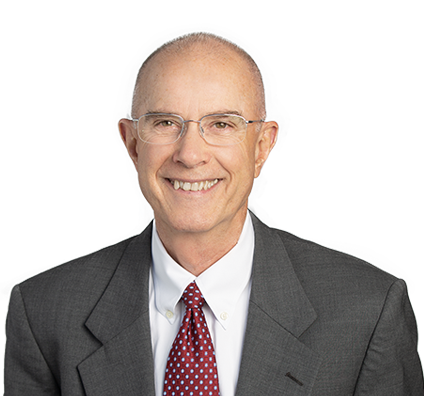 Joe is certified by the Texas Board of Legal Specialization in Civil Trial law. A highway project contractor claimed it suffered $6 million in damages as a result of alleged design defects and negligent misrepresentations by the engineering firm for the project. In winning summary judgment for the engineering firm, Joe identified, simplified and persuasively argued the key legal issue: whether a design professional’s plans carry with them a representation to contractors that they are adequate. This was a thorny issue on the cutting edge of construction and design law at the time, and the State Bar of Texas Construction Law Section later invited Joe to a panel discussion on the topic. Persuaded seven subcontractors and their bonding companies to pay majority of funds needed to settle $9.45 million lawsuit over hospital construction. Our general contractor client was held responsible for only small fraction of settlement. Represented school district through litigation, mediation and settlement of construction defect and mold claims against design professionals, contractor and subcontractors on high school classroom building and gymnasium project. Represented owners of 30-story luxury residential condominium project in Houston, Texas, through litigation, mediation and settlement of construction defect claims in excess of $15 million against contractors and subcontractors, and through settlement of declaratory judgment action filed by project insurer. Represented city in litigation, mediation and settlement of construction defect claims against design professionals, contractor and subcontractors for City Hall building. Defended engineering firm through mediation and suit settlement with a developer over alleged defects in subdivision infrastructure design. Represented condominium homeowners association and 76 individual condominium unit owners in litigation, mediation and settlement of construction defect and mold claims against developer, general contractor, subcontractors and homeowners' insurance carrier. Obtained insurance coverage for exclusive Santa Fe, New Mexico, property owners' association to provide defense and indemnity against claims by association member whose home was extensively damaged by soil movement after building plans and soil report were allegedly approved by association. Represented owners of condominium project through litigation, mediation and settlement of construction defect claims in excess of $15 million. Defeated application for temporary restraining order against major international gas pipeline based on alleged trespass and claims for inverse condemnation by landowner along right of way. Achieved settlement in mediation. Defended summary judgment of claims against an operator for damages from gas well blow-out and fire. Led multidistrict litigation in defense of garnishment claims against several Delaware corporations doing business with government-owned oil and gas corporation in the Far East. Led negotiations for hotel owner to require protective measures and guaranteed compensation for anticipated impacts of demolition by implosion of neighboring 17-story building. Represented community college district in negotiations with contractor of deductive changes in $100 million campus construction program. Represented subcontractor who had not been paid for construction services on computer chip manufacturing plant expansion. Condensed complicated facts into understandable case presented to jury in five days. Jury unanimously found in favor of subcontractor and awarded full damages of $6.2 million. Handled litigation, mediation and settlement of claims by highway contractor against quality control and quality assurance consultant for negligence in connection with specification compliance verification in stay-in-place concrete form construction of multiple bridges in El Paso, Texas. Negotiated design-build contracts for construction of a special events center project for Texas municipality. Represented general contractor through jury trial in dispute with subcontractor over claimed breach of contract on visitor information center project. Represented general contractor through jury trial regarding construction defect and payment dispute with owner of taxi service headquarters building. Achieved settlement for owner of women's clinic of payment and lien claims asserted by contractor.